Efficient and safe drainage of storm water is essential to safeguarding your landscape from being eroded. While there are several ways to achieve this, a dry well system is the most effective. This system has a camouflaged dry well built into the landscape or the lowest point of your property. It is a porous lined fixture that that allows water to slowly soak into the ground dissipating into the groundwater. If you have a dry well and are experiencing problems call Vac-Tec LLC in Gig Harbor, WA. We offer high quality dry well repair services with the right expertise and equipment. You can rely on our skilled and trained technicians for thorough dry well repair services as part of our dry well maintenance. You will need dry well repair if the water is backing up in your dry well instead of permeating into the soil. Give us a call to learn more about our repair and maintenance of dry well systems. A dry well system works well on most properties. Working with professionals such as ourselves you will understand the type of dry well system that will work for you. 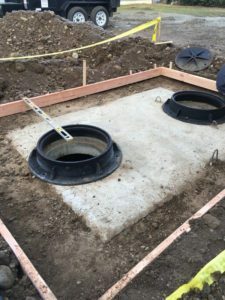 You need the help of the experts in order to determine the right type of drainage system for your home.We have been offering dry well system services for Gig Harbor residents for a long time. With us as the company caring for your dry well systems, you need not worry about anything. You simply let us know about any dry well problems that you are facing and we will take care of the rest. You can choose us to handle any dry well problems in Gig Harbor as we are experienced and efficient. 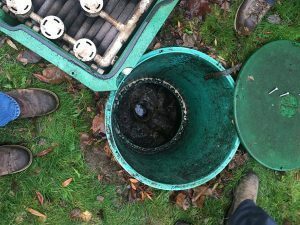 We can deal with all types of dry well drainage problems. When you need dry well services of any type call Vac-Tec LLC at (253) 777-4887. 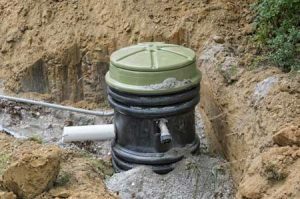 Gig Harbor residents have come to rely on our professional, expert dry well services.